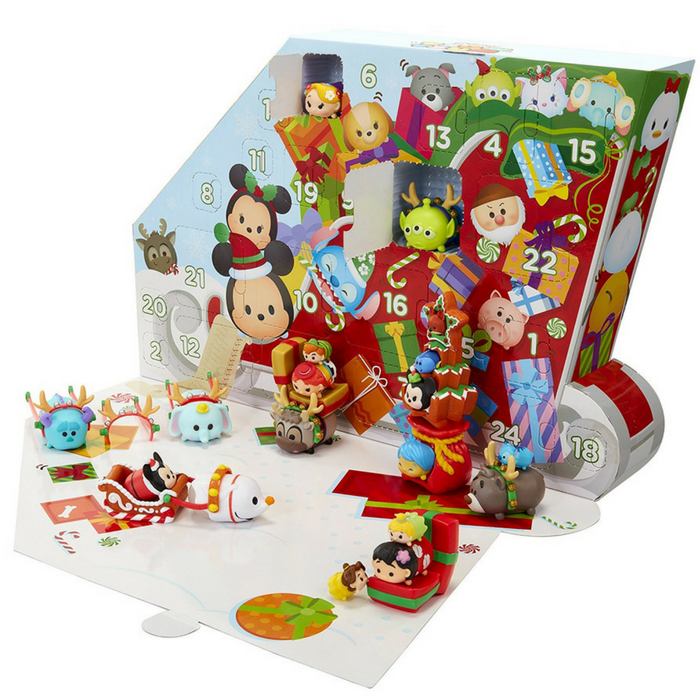 Disney Tsum Tsum Advent Calendar Playset Just $33.39! PLUS FREE Shipping! You are here: Home / Great Deals / Amazon Deals / Disney Tsum Tsum Advent Calendar Playset Just $33.39! PLUS FREE Shipping! While supplies last! Hurry over to Amazon to score this Disney Tsum Tsum Advent Calendar Playset for just $33.39 down from $39.90 PLUS FREE shipping! Enjoy counting down the 24 days until Christmas with the Disney Tsum Tsum Countdown to Christmas Advent Calendar. Open a new window each day to reveal a surprise Tsum Tsum figure or accessory and create a fun winter ski slopes themed scene. Collect, stack and display your favorite holiday themed Disney Tsum Tsum characters! Awesome!